Observation - Micro moth - UK and Ireland. Description: Attracted to lights near deciduous woodland. Very small micro moth. Attracted to lights near deciduous woodland. 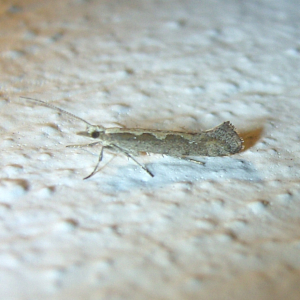 Very small micro moth.